Are The Bulls Back? 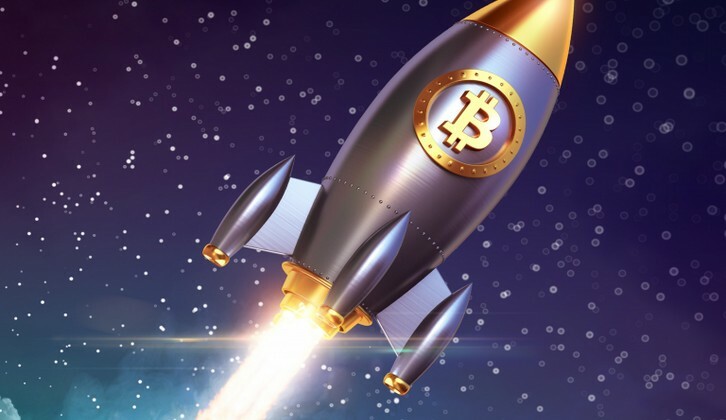 Crypto Market Pumps $10 Billion - Coinfomania Coinfomania: Where blockchain and cryptos live. Nearly all of the top 100 cryptocurrencies indexed by CMC are seeing greens, with Litecoin (LTC) especially catching the eye with an over 20% increase on the trading day. With the overly bearish sentiment that has befallen the crypto markets since November 2018, many crypto traders and investors had prayed for and anticipated a sign that a market rise would happen soon. As one would readily expect, major cryptocurrency Bitcoin is leading the charge of the latest influx of cash into the market. While BTC prices earlier on the trading day was locked between below and above $3400, values have risen to as much as $3690 at press time. If BTC were to breach $3700, chances of movement well above that support level is expected. Among the top ten cryptocurrencies, Ethereum (ETH), Litecoin (LTC), EOS, and Bitcoin Cash (BCH) are seeing double-digit gains while the rest are posting gains within 5%-8%. While most cryptocurrencies are only reacting to the latest pump, Litecoin (LTC) is the most significant gainer among the top coins. At press time, the value of LTC was $42.5, representing a 28% increase from its early day trading price of $34. This growth trajectory mirrors a similar performance by Ripple (XRP) in Q4 of 2018. Findings show that crypto payments processor CoinGate, recently added support for Litecoin, a development that gives over 4500 merchants access to collect Litecoin payments. Is Ripple XRP Heading For The Moon Again? Where Will It Land This Time?